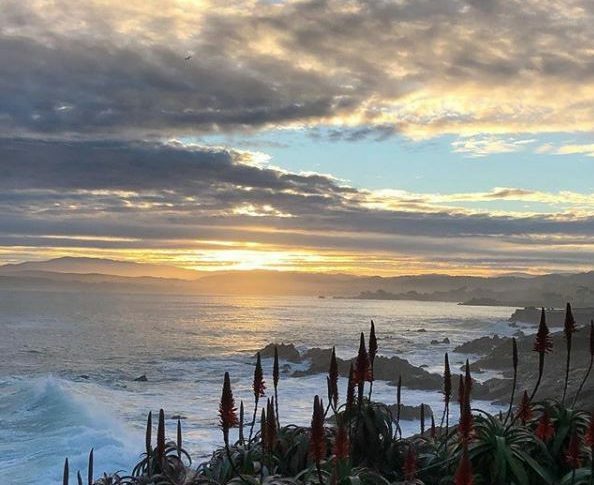 When it comes to living like a local in Monterey, California it’s all about appreciating the beauty of the local landscape and natural resources, taking advantage of all the amazing recreational activities available all year round, and savoring the local flavors available to us, whether from the land or sea. 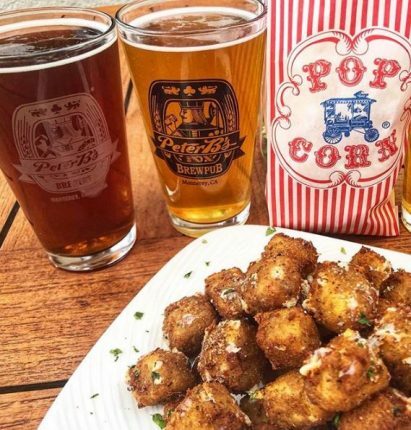 Whether enjoying Happy Hour, seven days a week and house made craft beers at Peter B’s Brewpub or ordering sustainable seafood at Jacks Monterey, healthy living and eating is easy when in Monterey! Take advantage of the Monterey Bay Aquarium’s Seafood Watch® Program’s recommendations when dining out and make sure to sip our local, Monterey County Wines and revel in the beauty of our local produce. Make sure to leave room for dessert – visit our Peet’s Coffee and try Monterey’s very own Revival Ice Cream. Locals and visitors alike revel in the majestic views that surround us all on the Monterey Peninsula. As a local, exploring the coast from Monterey to Pacific Grove, Pebble Beach to Carmel by the Sea by bicycle, is not only is great exercise, but allows oneself to take in the fresh coastal air, while gazing at some of the world’s most amazing views. Start on the Coastal Recreation Trail at Fisherman’s Wharf in Monterey riding towards Pacific Grove, then head into Pebble Beach and cruise along 17 Mile Drive, eventually taking you right into the heart of beautiful Carmel by the Sea. Take in a show at the downtown Monterey’s Golden State Theater or an independent film or documentary at the Osio Theater, also located in downtown Monterey. Boasting a lineup of fantastic artists, the Golden State Theater is one of downtown Monterey’s most coveted entertainment venues. With upcoming shows like “Who’s Bad – the Ultimate Michael Jackson Experience”, to artists like Michael McDonald, the Jackie Green Band, David Gray and Keb Mo – make it a point to visit this unique venue. 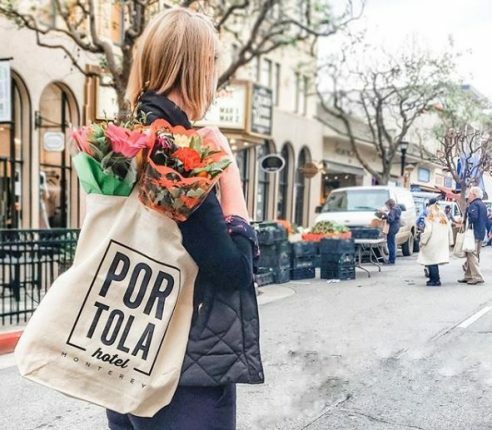 Every Tuesday, rain or shine, shop local at this amazing Farmer’s Market, right down the street from the Portola on Alvarado Street, between Pearl and Del Monte Avenue. Enjoy fresh, local produce, flowers, seafood, breads, gourmet food items, crafts, live music and more. Hours: October-April, 4pm-7pm; May-September 4-8pm. 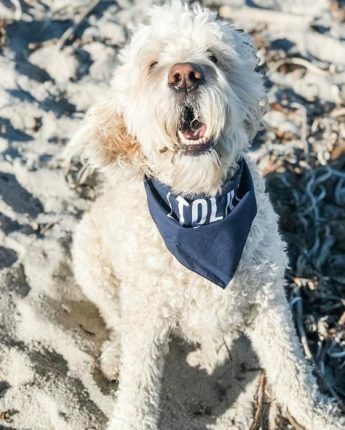 The Monterey Peninsula is on of the most dog friendly destinations for locals and visitors alike! 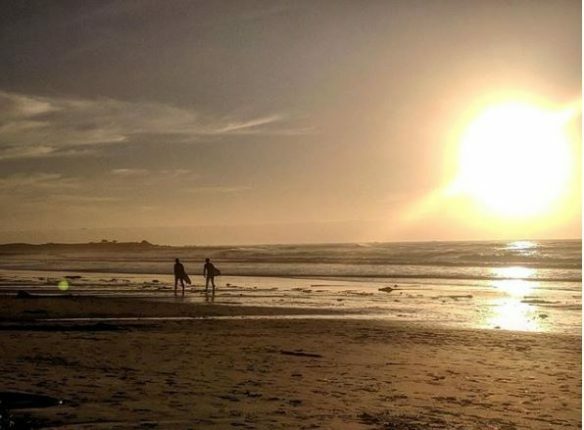 Our local dogs love catching the sunset at Asilomar State Beach and Carmel Beach. While they run around and play or get in a game of chase, their owners usually enjoy a bottle of Monterey County Wine or local craft beers. Maybe pair some local cheese or honey, fresh baked bread or olives, while ending your Monterey Bay day like a true local – because it really is ALL RIGHT HERE!